My Belief: Every undertaking passes through different stages. One needs infinite patience, determination and faith in oneself and in God. If one perseveres, success is inevitable. My Belief: It is the greatest privilege in life to be given the opportunity to serve God in different forms. My Belief: Within each of us lies the potential to touch the world and make it a better place. Introduction: Mr.Saif Bijliwala, an Occupational therapist is the Director of Jump Start Therapy Centres in Mumbai, one of the projects of Aashish Foundation. As an Occupational Therapist he has worked as a diagnostician, clinical therapist, lecturer and pioneer of many projects like Early Intervention, Psycho-social training,Residential projects etc. Since last 35 years ,he has worked exclusively with individuals having Intellectual Challenges and trained infants, children and adults. He also strongly believes in empowering and training family members to manage a special child at home which is his unique contribution to the field. My Belief: The journey of a thousand miles begins with faith and a single step. Introduction: Mrs. Shalini Bijliwala, an Occupational therapist is Asst.Director of Jump Start Therapy Centres in Mumbai, one of the projects of Aashish Foundation. Over the 32 years, she has imparted therapy for Learning difficulties, Cerebral Palsy, Autism and related Disorders. She has a vast experience in Curriculum Development, Pre-Vocational and Vocational Training programs, and Motor & Social development through Sport Programs. She is empathetic and is sought by staff and parents alike. A senior neurophysician and associate professor at M.G.M. Medical College, Indore (Madhya Pradesh). My Belief:We have only one life. Live it maximally in a joyful manner and it would be better if more joy comes through work, knowledge and serving the society. Introduction:An outstanding student of MBBS in 1975 & MD Medicine from MGM Medical College, Indore in the year 1979. 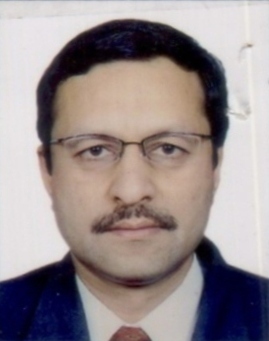 He completed his DM Neurology in 1985 from All India Institute of Medical Sciences, New Delhi. He is a well known figure in the medical world for his work in the field of neurology. He is committed to and passionate about Public Health Education,Patient education and empowerment of families through self Help groups organized on the basis of various neurological diseases.He has authored a number of books in Neurology and Public Health Education. He was kind enough to spent time at the inaugural function of the center and is always eager to give benefit of his knowledge and experience when needed. Leading Cardiologist and Diabetic expert of Indore. Introduction:A staunch devotee of Sri Ramakrishna, Sarada Devi and Swami Vivekananda, it was his vision for extending medical service at concessional rates for the suffering humanity that finally took shape of Healing centre today. A silent contributor and always ready to help the poor, he commands respect from both the medical circle and his patients. He keeps investing his time in furtherance of the center’s activities. My Belief: Keep Thyself Happy. Introduction:A silent contributor for the upliftment of the under-privileged, he readily supports all those who are working in this direction & the Healing center with material help as well as, experienced advice. May he achieve life’s fulfillment with the infinite grace of Sri Ramakrishna and Sri Sarada Devi. My Belief: Work with your hands and pray to the Lord with your mind that He may always be in our hearts and guide us. Introduction:A devotee of Sri Ramakrishna & Holy Mother at heart, she has been a key instrument in bringing Sri Sarada Math to its present premises. She has always stood by the center through it trying journey of 20 years. Her devotion and humility always reflect in all her actions. May the Holy Trio bless and guide her.